Fresh Louisiana peaches are handpicked for this smooth lager. Pale malt gives the beer a sweet, crisp taste, with abundant amounts of ripe, juicy peaches added in the brewhouse to capture the flavors and aromas of real, fresh fruit. 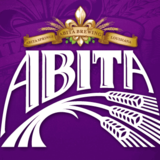 All our Harvest Series brews are made with the finest Louisiana-grown ingredients.